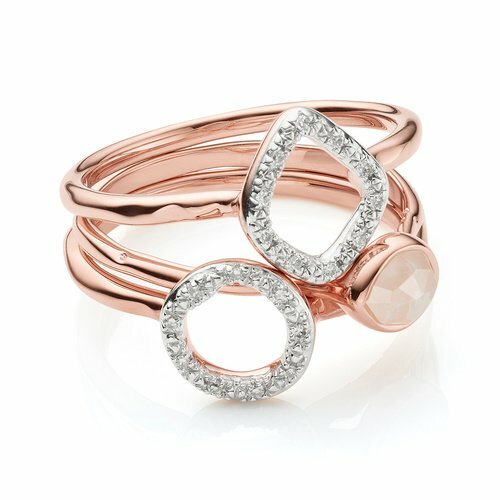 Perfect for stacking, this delicate ring features an organic, irregular shaped multifaceted Rose Quartz gemstone, set in 18ct Rose Gold Plated Vermeil on Sterling Silver. The band has a slightly waved edge, reminiscent of the sea. 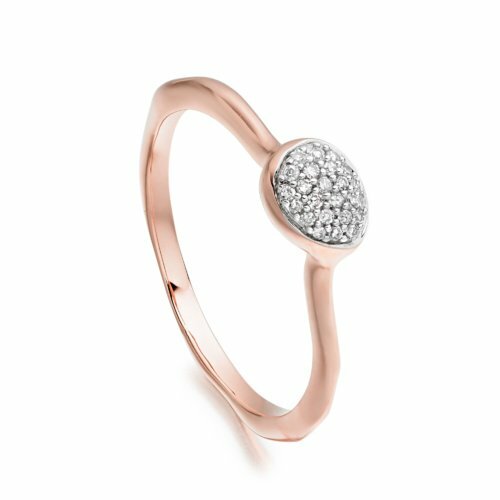 The stone on this ring measures approximately 6mm x 4mm (0.2 x 0.15"). 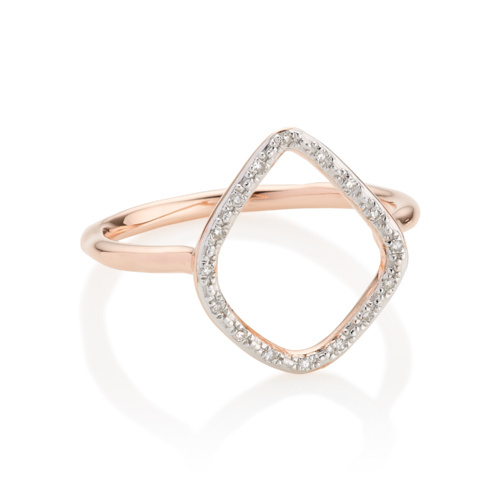 The band measures approximately 1.5mm thick at widest point. 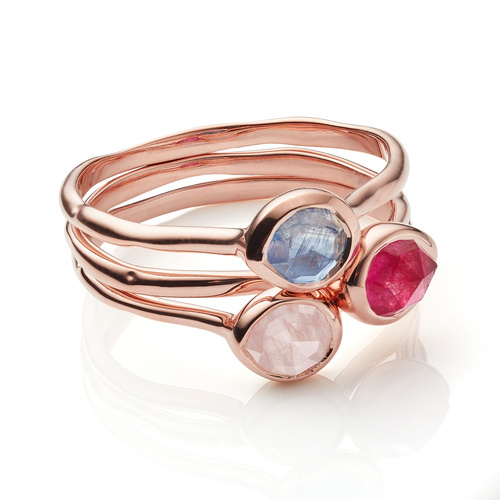 Originating from India, Rose Quartz is pale pink in colour and is the birthstone for January. 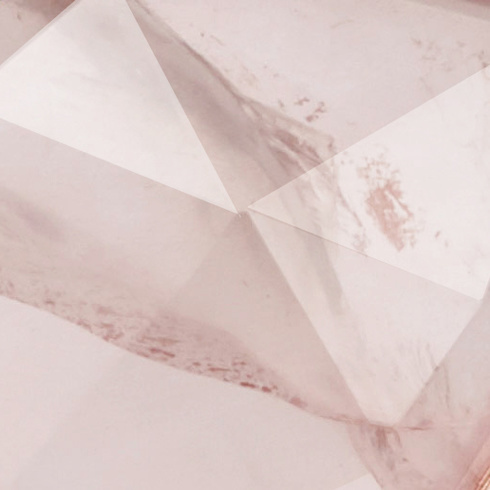 Representing 'love', this translucent gemstone is composed of a web of feather inclusions which create it's cloudy, soft, pink colour.